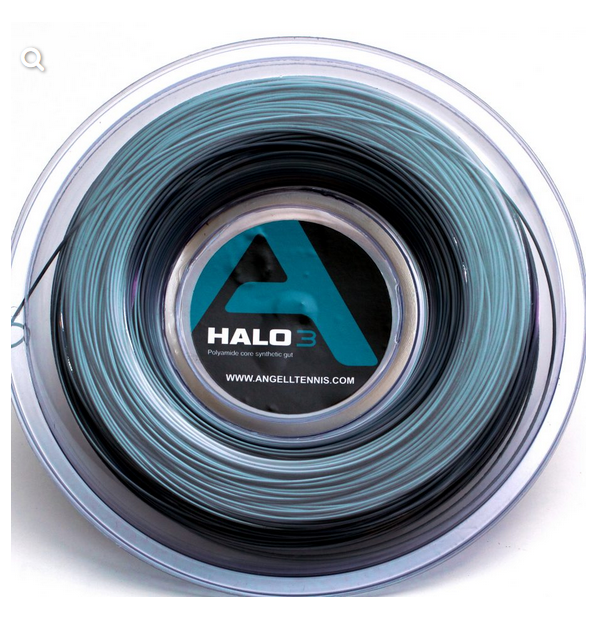 Just in – a new synthetic gut from Angell – the Halo 3 in Teal, 1.3mm. A high quality synthetic gut well worth checking out. 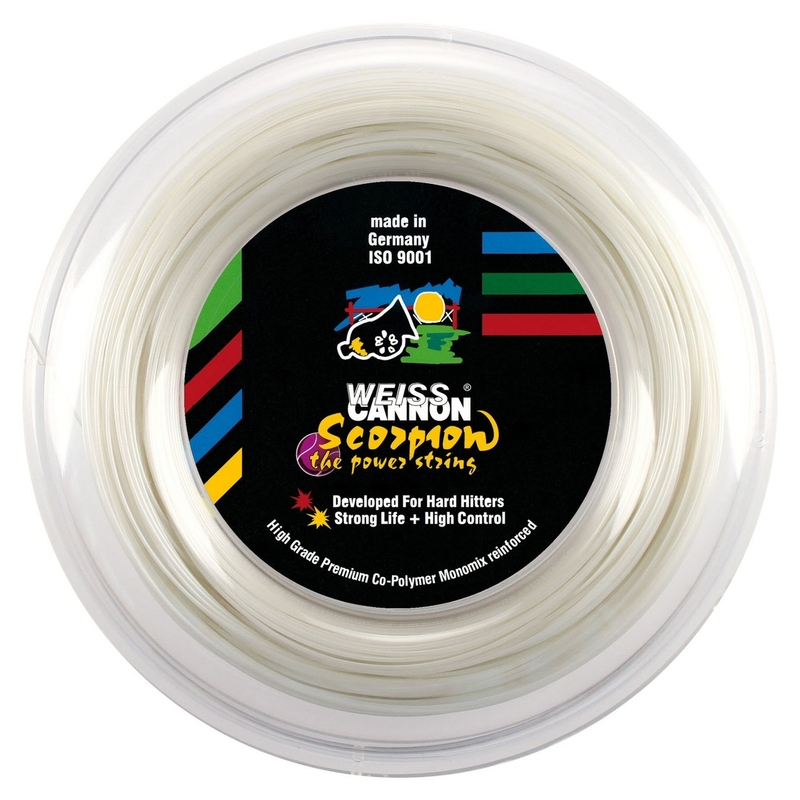 Now stocking my new favorite string – Weiss Cannon Scorpion 1.22 in white. This a poly that has a great soft feel. Very highly rated in all areas. 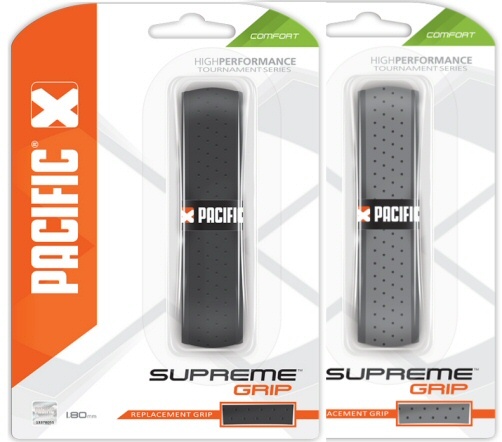 I’ve been trialling a large number of grips and the best I’ve found is the Pacific Supreme Grip which I will be stocking from now on in Grey and Black. £6 fitted. It has great great comfort and feel with a bit of tackiness. I still have a few of the excellent Wilson Kontrol grips available (probably the last in the world!) for £7. All other grips available to clear for £2, please ask for details. 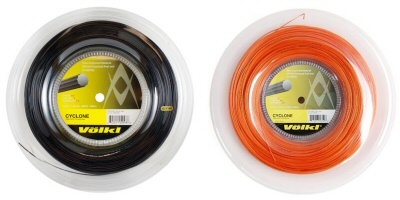 I now stock Volkl Cyclone poly in black 1.25mm and orange 1.20mm. 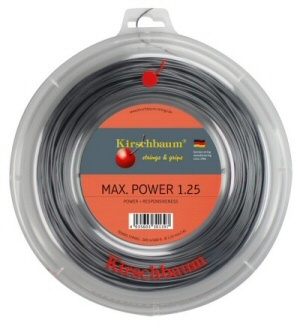 This is proving a very popular string, excellent comfort and spin potential.